From poverty to joining the Children of the World choir to growing up as a sponsored child, Pascal is a testament to a sponsor's love. If you really want to change the world, you have to empower the next generation of young people to carry the torch. That’s exactly what we strive to do in each of our World Help Child Sponsorship Programs and with each member of our Children of the World International Children’s Choir. Investing in the lives of children builds the foundation for lasting change. We’ve found that it’s the best way to reverse the cycle of poverty, build better families, and transform communities—even entire nations. 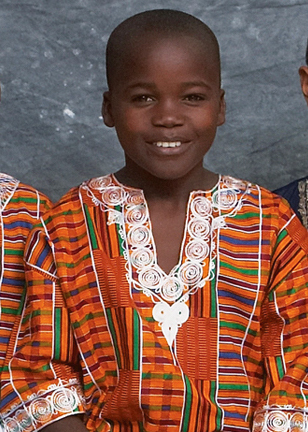 Back in 2004, a little boy from Good Samaritan School in Uganda shyly stepped off a plane in America. As a new member of our Children of the World choir, the boy—named Pascal— was about to encounter a lot of “firsts” over the span of 11 months. His first bite of pizza . . . first cross-country road trip . . . first time performing for an audience . . . first words in English. It was going to be an experience that would ultimately change his life forever. Pascal grew up in a one-room home no larger than a typical office where he lived with his single mother and several siblings. Before the family became connected with Good Samaritan through sponsorship, they could only afford to pay school fees for Pascal’s older sisters. As a result, Pascal spent his days running errands for neighbors and would bring home any unwanted scraps of food leftover from the days work to share with his family. Before being sponsored, he even worked for the local witch doctor. Everything changed when Pascal and his siblings were sponsored through Good Samaritan. For the first time in their lives, they began receiving regular meals, had access to healthcare, and were provided with a Christ-centered education. Being asked to join Children of the World on tour was a dream come true for Pascal. Over the course of the year, his natural gift for leading was exercised, encouraged, and developed. 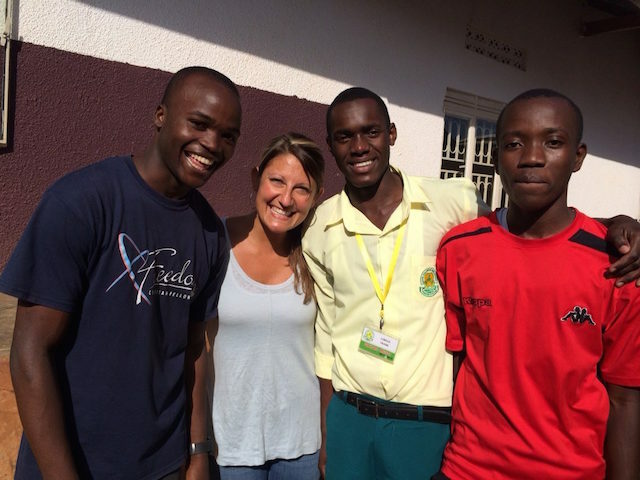 Nikki Hart, our Children of the World director, was team leader the year Pascal was on the choir and has kept in close touch with him over the years, as she does with many former choir members. “To date, we have had 29 teams, 442 children from 7 countries come through the doors of World Help to participate in the choir,” she remembers proudly. These children have impacted thousands across the U.S. by raising awareness of the plight of orphaned and disadvantaged children around the world. But perhaps the greatest success of Children of the World is the long-term effect it has on the children themselves. Pascal was no exception. After returning to Uganda, he continued to thrive under the care and leadership of our staff at Good Samaritan and, most notably, from the encouragement of our program director, Alex Mitala. Mitala, who puts great emphasis on spiritual development and service, challenged Pascal and some of the older students to begin looking for ways to reach their community with the Gospel. Out of this challenge, Christ the King Church—operated and led by sponsored children—was born in December 2012. 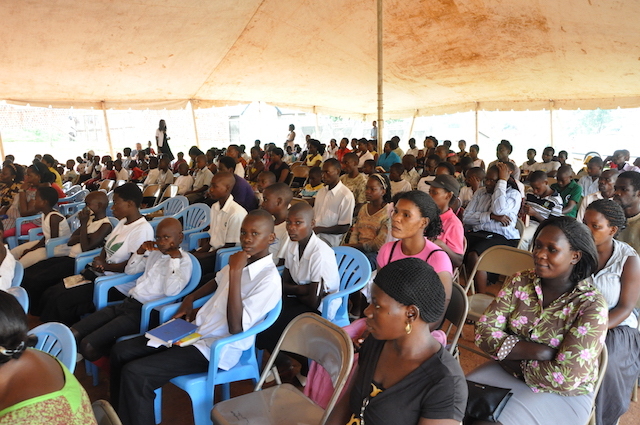 The church began to meet under a tent in the nearby town of Nansana with over 100 people in attendance for the very first service. 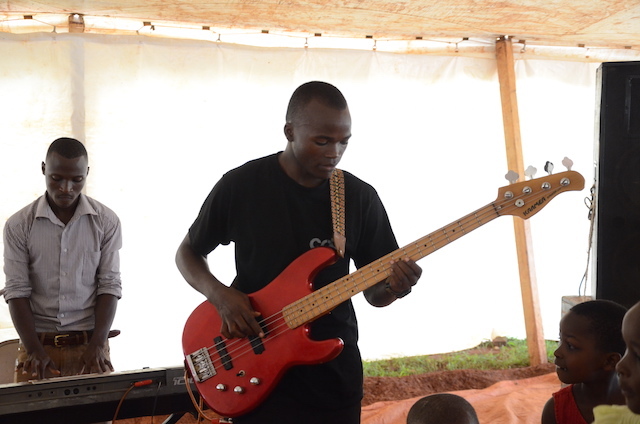 Pascal plays bass guitar and helps lead worship with other former choir members. Just two years since it’s inception, Christ the King is thriving. Seventy-five percent of the now 300-member congregation is composed of orphans, disadvantaged children, and former child soldiers and child mothers brutalized by the Lord’s Resistance Army (LRA). Despite the trauma of their past, these victims have found healing and hope in Christ and are now serving as leaders in their communities. 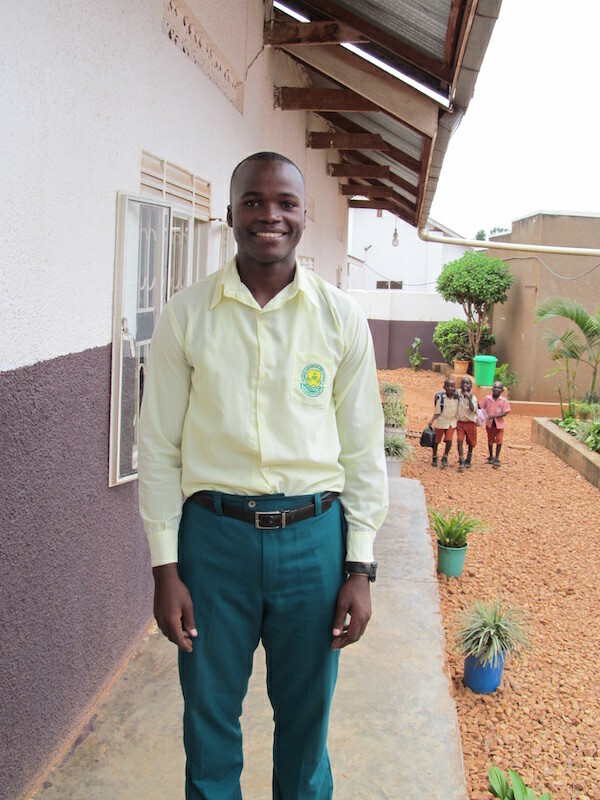 Pascal is on track to graduate from Good Samaritan next year and plans to attend Bible school with several of his current classmates to continue serving and teaching at Christ the King. He also has a strong interest in engineering and business, which he hopes to pursue in the future. Meet Pascal in the video below! Pascal’s incredible transformation is a humbling reminder to us of how God can use something as simple as sponsorship to radically impact a child, a family, and even an entire community. Sometimes, it’s hard to know exactly how your $35 a month investment will make a difference for a child in need. Pascal’s story is one of the thousands of reasons why we continue to believe in the power of sponsorship and, more importantly, in the ability of our God to change lives through our obedience. Don’t miss out on the opportunity to invest in a child like Pascal. You never know . . . they might just change the world.